NON-FCRA PROJECT: IMPACT CHALLENGE FOR DISABILITIES GRANTS TO NGOS! 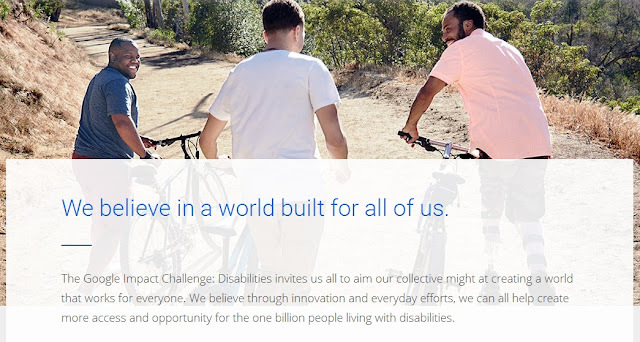 Google.org is currently inviting nonprofit organisations of India to submit ideas for its Google Impact Challenge with the potential to transform the lives of people with disabilities. Award of $20 million will be provided to nonprofit organizations using emerging technologies to increase the independence of people living with disabilities. People with technological innovation that will create meaningful and positive change for people with disabilities are welcome to submit proposals.